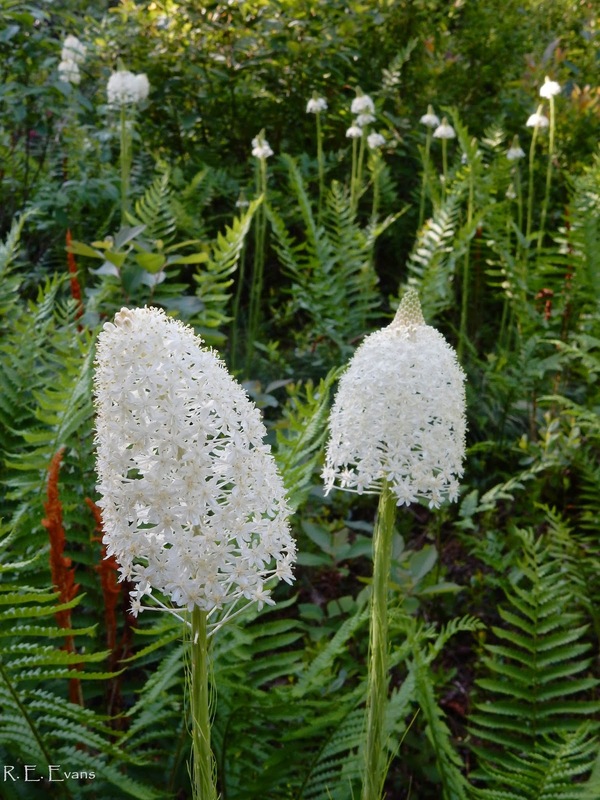 Turkey Beard (Xerophyllum asphodeloides) is a lily-like plant whose foliage superficially resembles a bunchgrass. 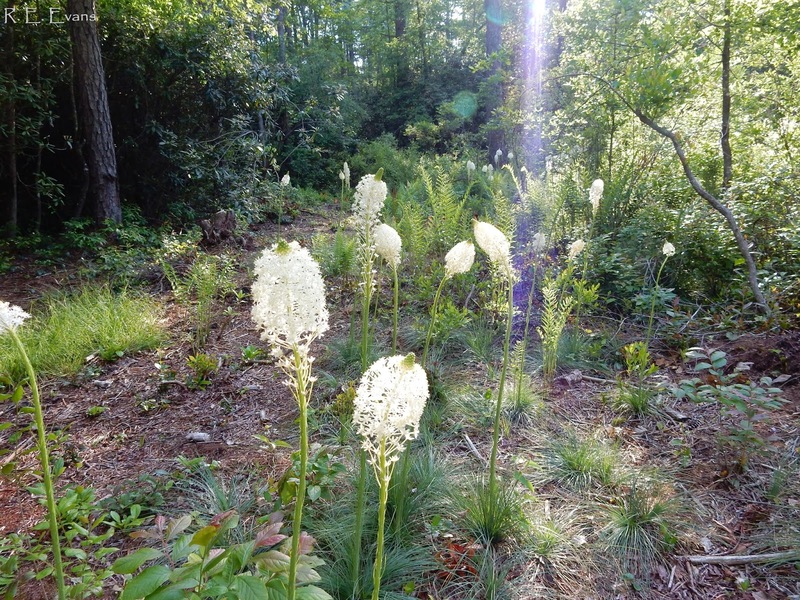 Weakley's Flora places it in the Xerophyllaceae (or Beargrass) Family. 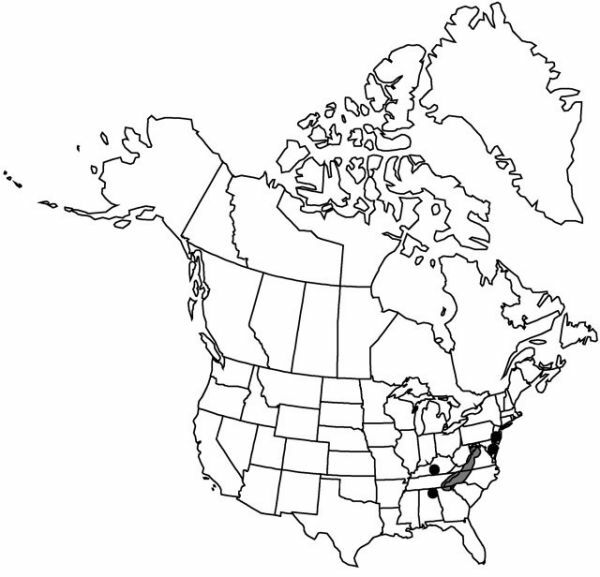 Only 2 species occur in the family, and X. asphodeloides is the only eastern US native. In North Carolina, and elsewhere in the Southern Appalachians, Turkey Beard may be found on dry or even xeric ridges and slopes where periodic fire was an important ecological process. However, most of these areas are now fire suppressed and the Turkey Beard shows little flower production. Bourg & Gill (2000) conducted a series of experimental treatments and found that fire and canopy opening resulted in "an immense flowering response"; we produced a similar result after thinning and prescribed fire in Transylvania County, North Carolina. Like Bourg & Gill's study, the flowering results were dramatic 2 years after treatment. 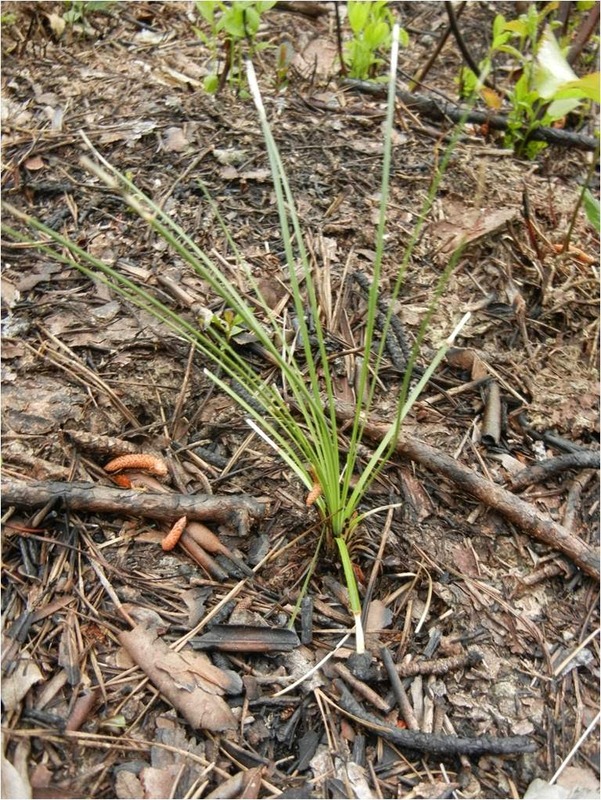 Over 100 flowering stalks appeared in 2014 after brush clearing in late 2011 and prescribed fire conducted in May 2012. This was especially surprising given the poor vigor of many of the vegetative tussocks prior to restoration (see below) and essentially no flowering. One unusual aspect of this population, is its occurrence in a wetland. 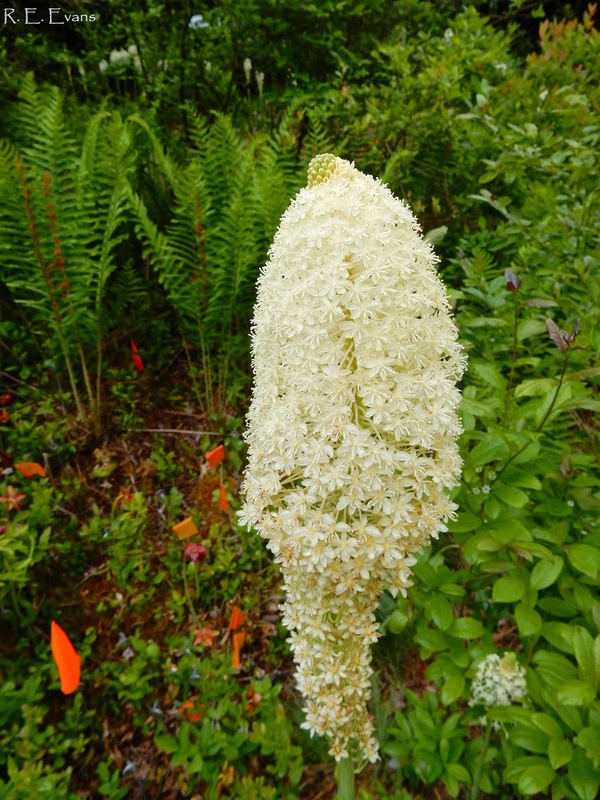 As mentioned above, the plant is usually associated with dry, rocky slopes or ridges. I haven't spoken to anyone who has seen Turkey Beard in a wetland such as seen below, although last week I observed a few plants growing on a wet flat stream bank under dense Dog Hobble (Leucothoe fontanesiana); the private landowner intends to follow our example and clear around their plants hoping for a similar flowering response. 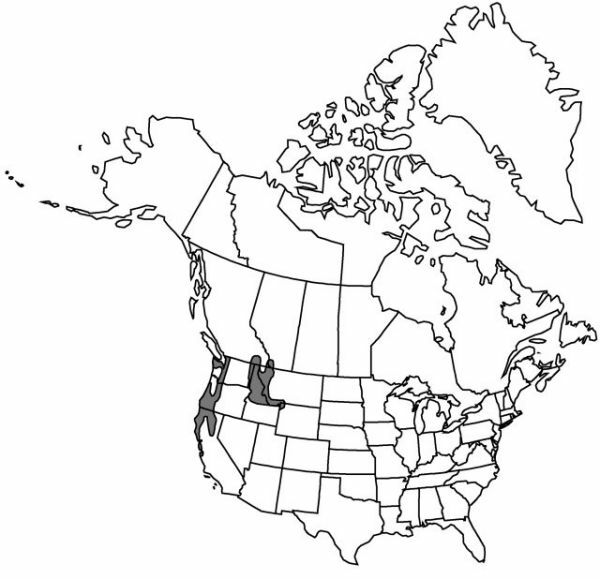 The distribution of Turkey Beard and its western relative present an interesting puzzle for those interested in biogeography. The range maps presented below show the two Xerophyllum species and their natural ranges (from http://www.efloras.org). How did that happen? ?